It’s coming up on Halloween again. Have you thought about what you’re going to wear? Do you have a few ideas but nothing you are in love with? Let us help. We love this time of year and so have found some of our very favorite costume ideas for this year. 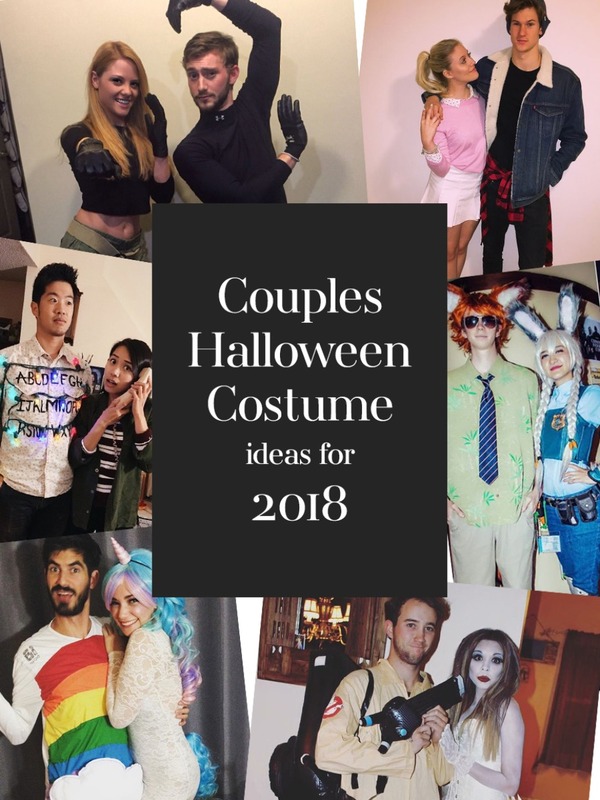 They may not be cutting edge, pop culture looks but these 10 couple costumes really made us wish there were a few more days of Halloween so that we could test out more than just one costume. First up, we had to start it off with a bang… or rather a rainbow. 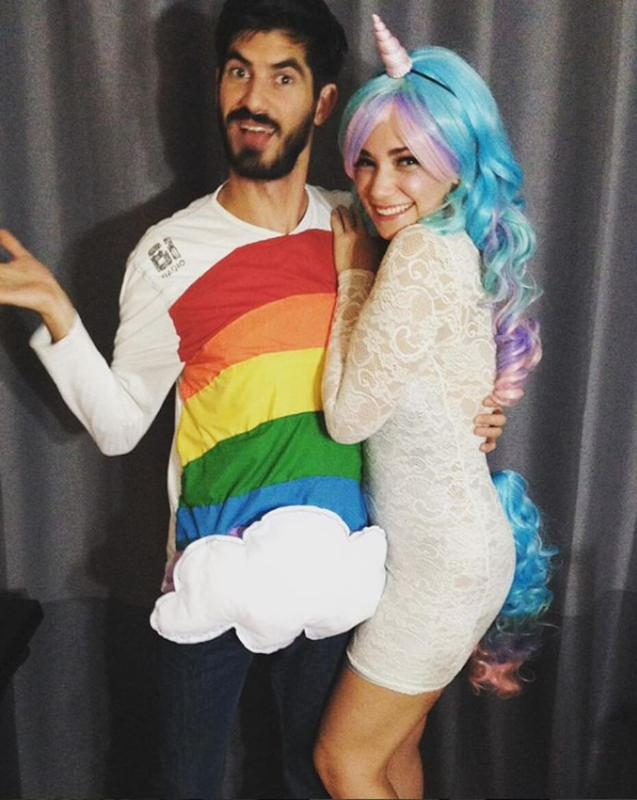 How cute is this unicorn and rainbow couples costume idea? Not only is the outfit super bright and exciting and one you can totally make your own but the added fun of pairing up with your rainbow was just pure Halloween genius. If you are a 90’s kid than you know this costume idea before even reading the caption. Kim Possible was one of the cartoon badasses that was there at the beginning of TV's female lead badasses. And right there by her side was the adorable Ron Stoppable. 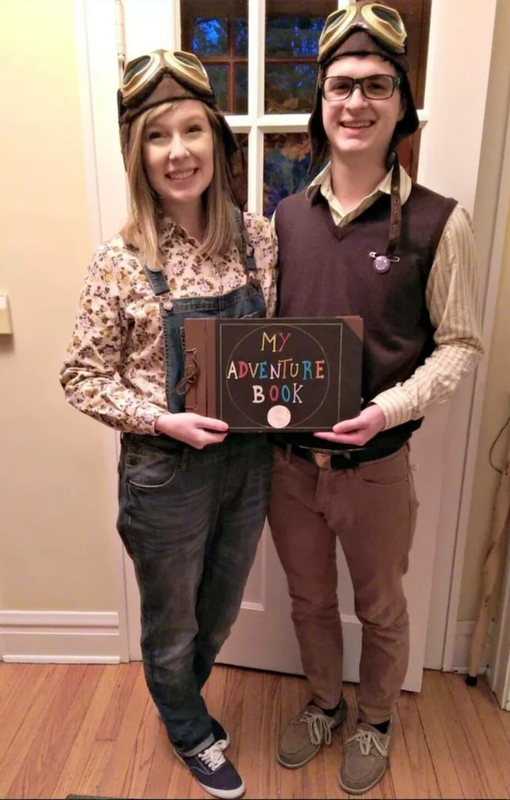 We know we have plenty of Disney’s Up fans out there, we’ve seen your cute “Adventure is out there” guestbooks. This costume idea is for all of you! 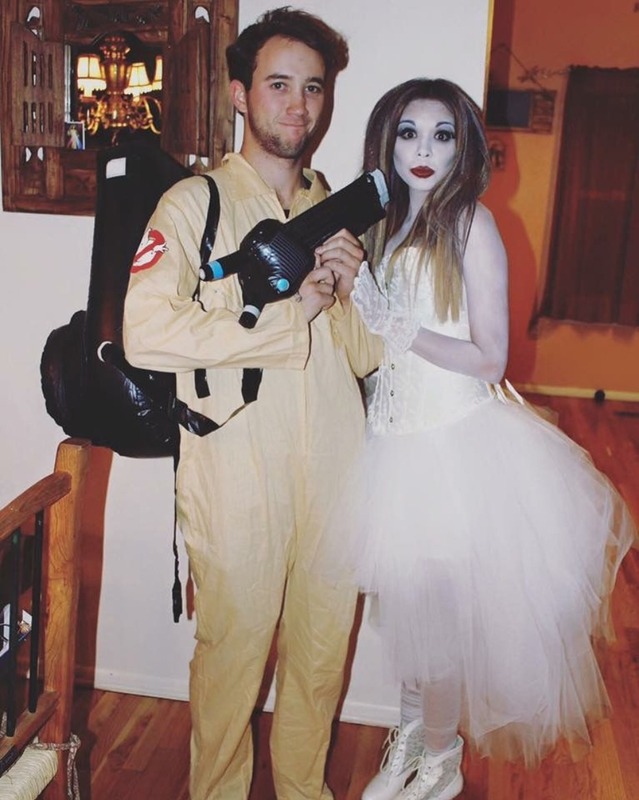 A forever favorite, the Ghostbusters are an iconic costume idea that will never fall out of style. I dressed up as this one year and just as a hint if you don’t have someone to dress up as a ghost for you, a mylar balloon tied to your proton pack works just as well. Who you gunna call?! Stranger Things has quickly become a cult classic with iconic costumes every year since it first aired. 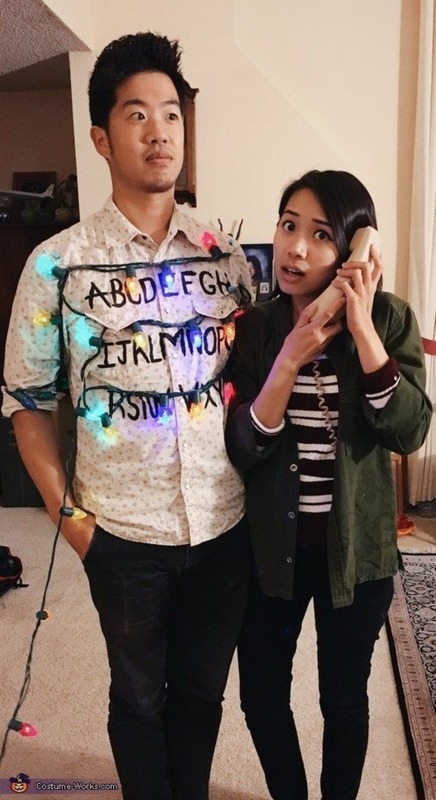 So if you have been trying to decide what you could dress up as that would be immediately recognizable, a Stranger Things homage, Joyce Byers and the Tree Light Wall would have to be it! 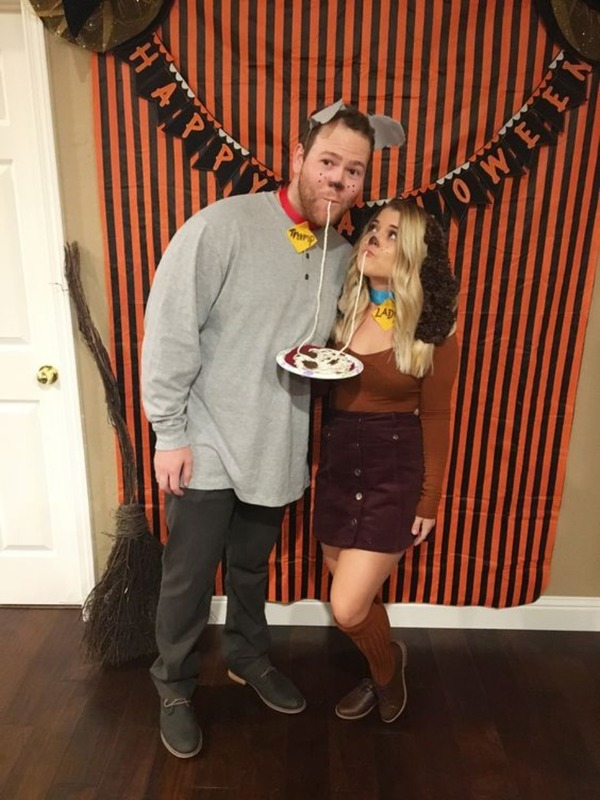 Speaking of classics, Who doesn’t love the old Disney classics, and that sweet love story between Lady and the Tramp is sure to have all your friends “Ooo”-ing and “Ahhhh”-ing over your genius couples costume. Do you love cuddling with your significant other? 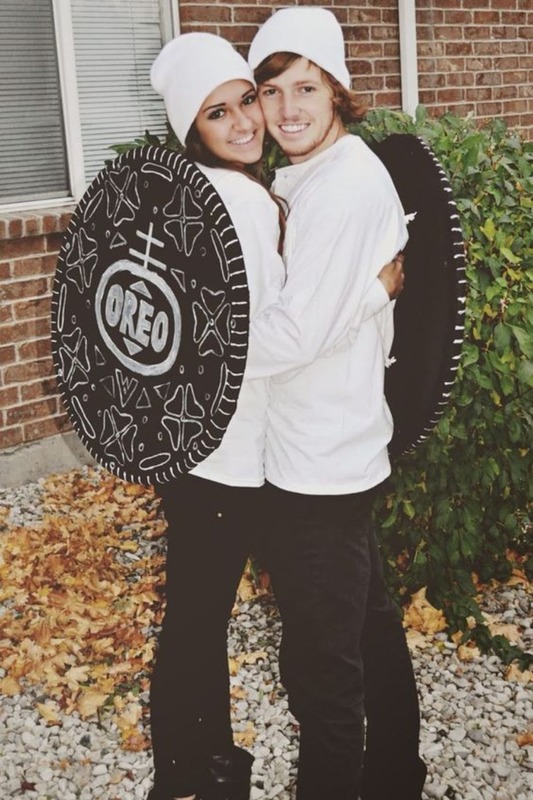 This Double Stuff Oreo costume really just gives you a reason to hug them all night long. And talk about a cinch to make. White sweatshirts and beanies and cardboard cutouts of two Oreo cookies. Done and done! Who here loves the Netflix show Riverdale? (or as I like to call it Dark Archie) This kookie small-town drama series, where everything happens to everyone, has us antsy for the new season. October cannot get here fast enough. 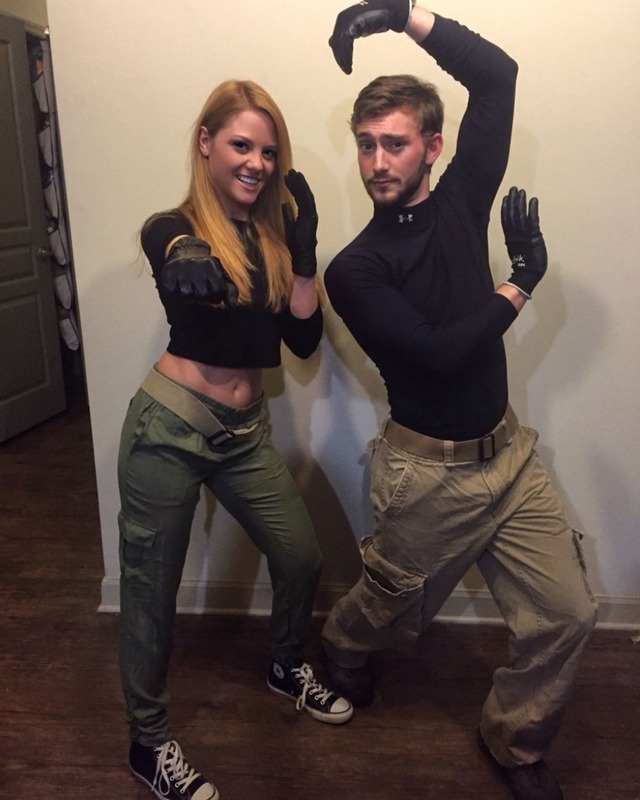 So if you are on this same bandwagon here is the perfect couples costume for you! 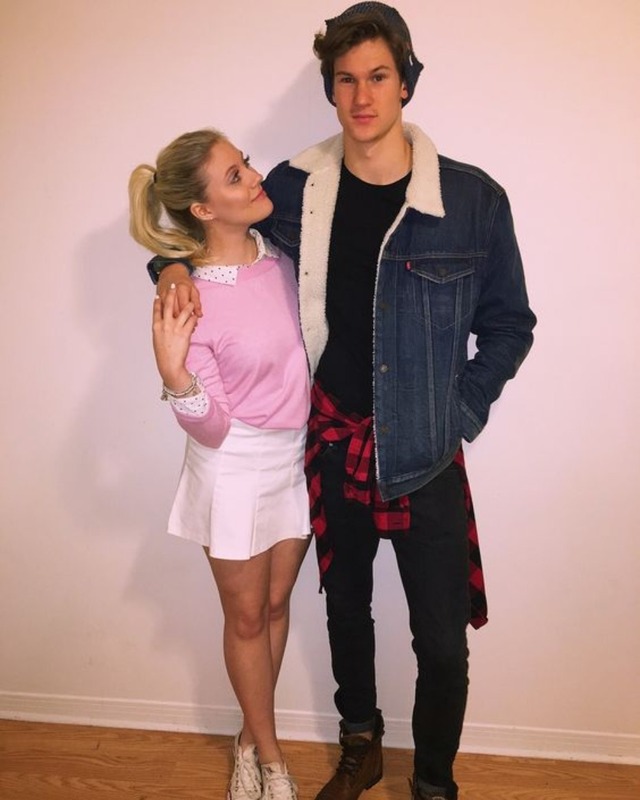 Jughead Jones and Betty Cooper! 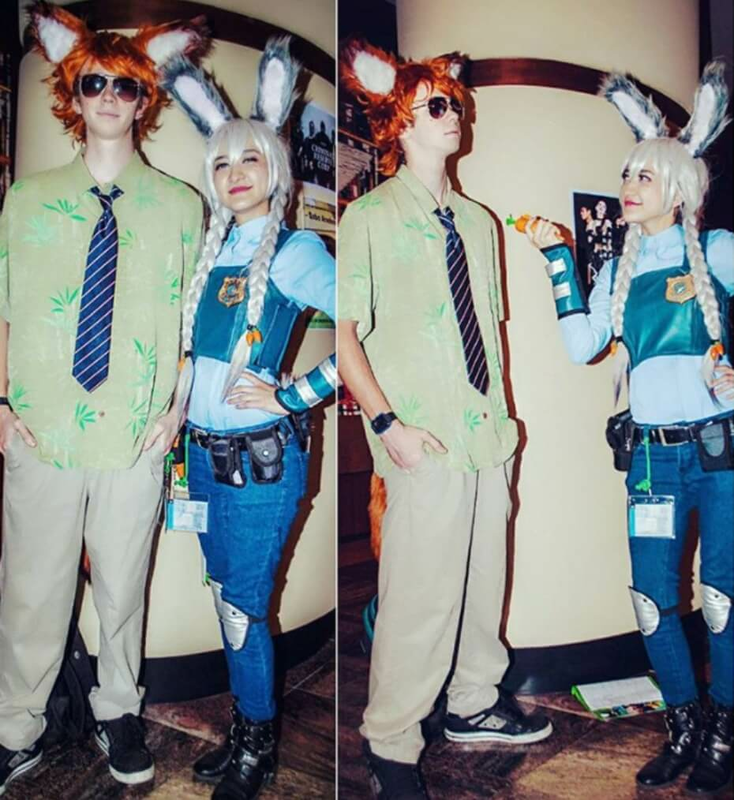 We know that Zootopia was a while ago, but hey you can’t deny the fun it would be to dress up as any one of the characters from that movie. And Detective Judy Hops and Nick Wild are at the top of our list! 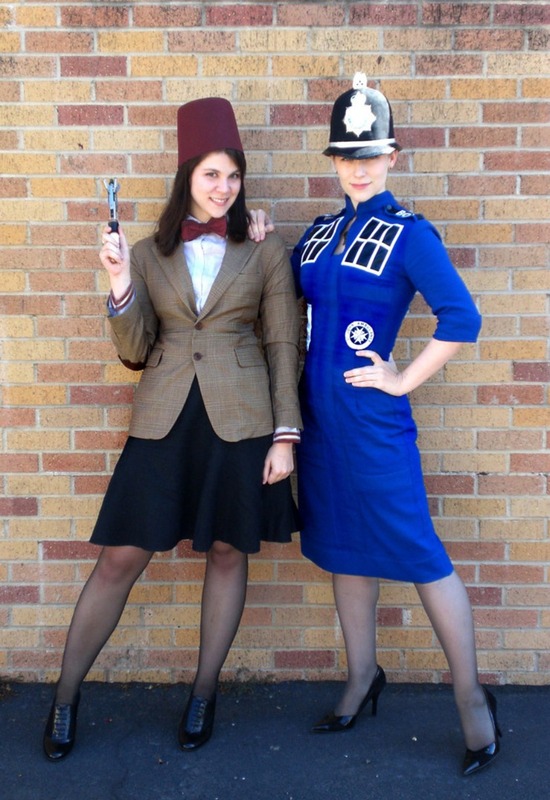 And last but certainly not least the Doctor and the Tardis! And what’s more , this adorable couple have us “Sqeeee”-ing on the inside as their gender-bender 11th doctor is the perfect costume idea for this year in particular. Spoiler alert: The next Doctor is a woman, and we cannot wait for the new series to hit the States!